After Marathos follow the signs directing you to the Archaeological site Voidokoilia. Nearly 1.5 km after turn right and drive with caution after another 1.5 miles (the road is narrow) will arrive at the car park of the beach. The image you will see is hard to describe in words. A huge sandy embrace, among the finest in Europe, with green water in the shallow, steep cliffs and background Paliokastron Castle staring from above. It is not organized, but you will definitely find your own place to enjoy a swim. Swim in the crystal clear waters. A short distance from here are the beaches of Romanos. Starting from the central square of Pylos drive to Kalamata and 2 km turn left towards Filiatra – Kyparissia. At 5.8 km you will find the tiny village of Gialova. 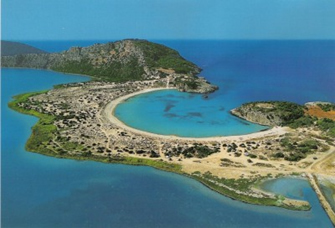 The vast, sandy, safe beaches and tavernas with tables next to the sand cause for a trip. The stretch of beach will understand walking in the small jetty protruding into the sea and on peak days converted to parking. Approximately 700 meters, before a Shell gas station, turn left following the sign to the huge sandy beach (approximately 2 km) Gold Coast. To 2.5 km of the route you will see a green sign pointing the direction to the wooden observatory rare birds. Extended in front of the lagoon Divari (Gialova) where they have observed over 250 bird species. In the wider area the African chameleon can be also found.